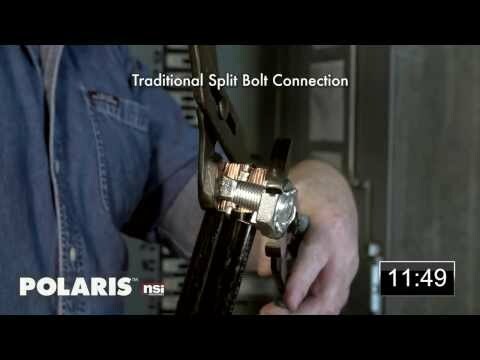 NSI Polaris™ Insulated 6-Port multi-tap connector of slotted hex size, is suitable for making wire termination. 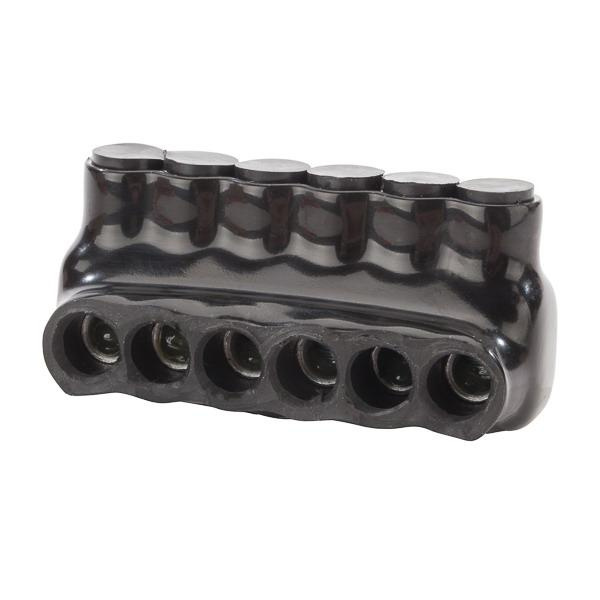 Connector in black color, has 6061-T6 aluminum alloy construction and high-dielectric strength plastisol insulation for added electrical protection. It measures 2.81-Inch x 1.188-Inch x 1.375-Inch. This 600-Volt connector supporting single-side cable entry, accepts copper/aluminum cables of size 4 - 14-AWG. It has installation torque of 45 lb-Inch. Connector is accurately molded to ensure precise fit and resistant to UV, abrasion and chemical. It comes with removable access plugs to close the entry port, which is not in use. Connector withstands temperature of 90 deg C. Multi-tap connector is cULus listed.